Some of the best historic collections in France can be seen within the hundreds of Paris museums and similar educational complexes. However, do be aware that due to their extremely popularity and high quality of exhibits, the museums in Paris are extremely popular, and at peak times, expect long queues to the entrance. If possible, choose a quiet midweek day to visit, rather than a busy Saturday, and always arrive early. 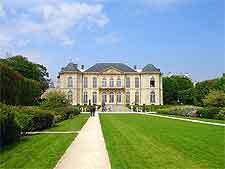 Especially notable is the Musée Rodin on the Rue de Varenne, which stands close to the Esplanade des Invalides and celebrates the life and works of famous French sculptor and artist, Auguste Rodin (1840 to 1917). Families will appreciate spending time at the Musée National d'Histoire Naturelle (Paris National Natural History Museum), where the dinosaur skeletons and fossils within the Gallery of Palaeontology and Comparative Anatomy are sure to be a real treat, regardless of your age. Opened to the general public in 1919, this 18th-century former hotel (previous named the Hôtel Biron) is where Auguste Rodin once lived and many of his works are housed here. 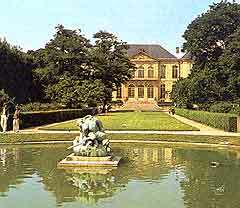 The museum and the large garden may be visited separately. The magnificent landscaped garden contains more than 2,000 rose bushes. This museum is dedicated to the history of Paris through to modern times, and is housed in two adjacent historic mansions. which were formerly hotels. There is a very interesting section devoted to the Revolution which includes models of guillotines, execution orders, and objects used by the royal family during their final days. Charting the history of the world-famous Notre Dame Cathedral with numerous paintings, engravings, medallions and other objects and documents. Housed in Palais Galliéra, this museum features a collection of French costume and fashion accessories from the 18th century to the present day. This museum features 18th-century French aristocratic luxuries, which consists of paintings, tapestries, gilded furniture, rugs, porcelain and solid silver tableware. This spectacular museum displays a remarkable array of musical instruments dating from the 16th century to the present day, as well as paintings and sculptures. 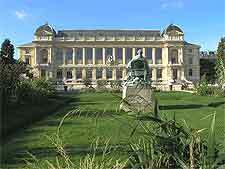 Located in Jardin des Plantes, this natural history museum combines several museums and contains exhibits on geology, mineralogy, botany, paleontology, anatomy and zoology, and includes skeletons of dinosaurs. This museum is Victor Hugo's former 19th-century home, and houses exhibits on the French author's life. Famed for Les Misérables and The Hunchback of Notre Dame, Hugo's talent as an artist can be seen. The former home of the great 19th-century painter, Eugène Delacroix, who lived and worked at this studio-apartment. This art museum, located in the spacious 15th-century Hotel de Cluny, houses a collection of medieval decorative art, an array of tapestries, including the Lady to the Unicorn, together with a collection of original sculptures.